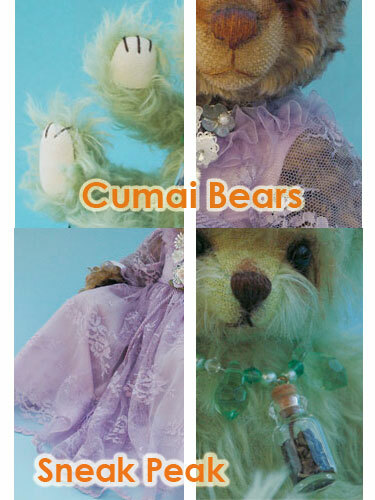 This Sneak Peak is my bears which will show in Who is Who in Bear Making show. 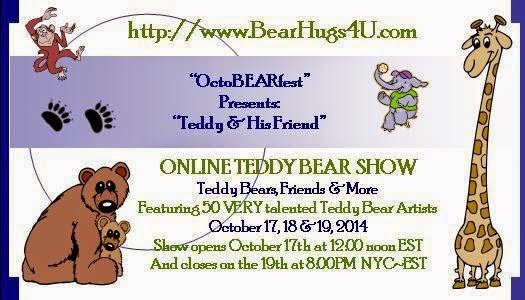 There will have 2 online bear shows coming on May. I was really beleive I can't finish those bears, because I only got such limited time and I have 5 bears to finish!Luckly that I didn't give up! I was not going anywhere in the mean time, not even shopping or go to gym, and only stay at home to finish them! Hopefully they will get sell on the day! First show is Who is Who in Bear Making online bear show, it is on 15 & 16th of May. Second show is Fantasy Ball online bear show, it is from 31th of May until 6th of June.